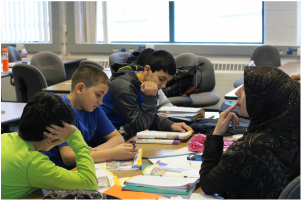 Our teachers have many years of experience in Arabic and Quranic instruction, overseas as well as here in the United States. Most of our teachers have 10+ years of experience. 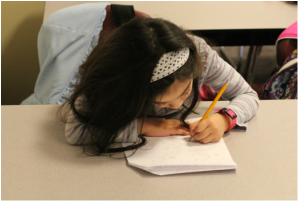 ﻿Our program, designed with an advanced and rigorous curriculum, aims to teach our students reading, writing, comprehension and fluent expression in the Arabic language. ﻿In keeping with a smarter approach, we encourage our faculty to limit instruction given in English. This urges students to communicate in Arabic, further strengthening their skills.